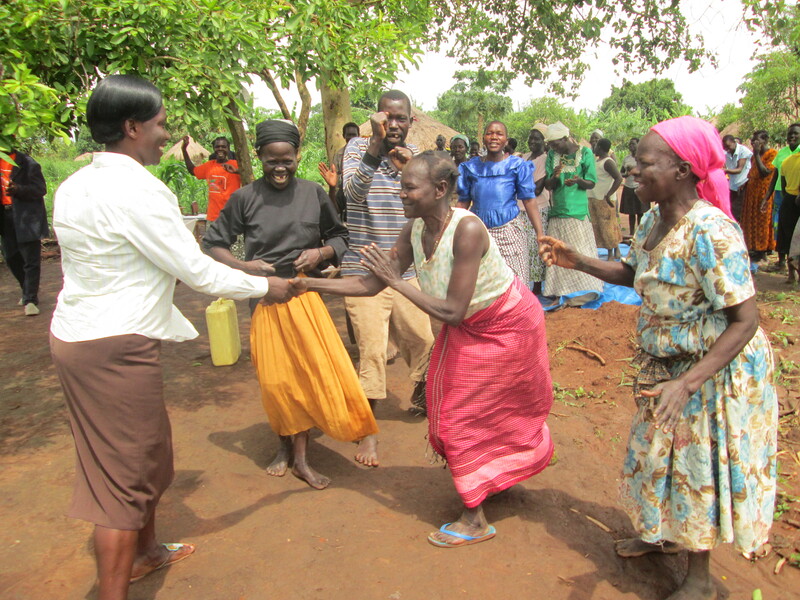 Mega FM broadcaster Sarah Adongo meets with villagers in Omwonya, outside Gulu town. A car approaches Omwonya village, splashing through potholes and shuddering across the undulations of the wet and muddy road. Dozens of farmers have gathered in welcome. As they spot broadcaster Sarah Adongo in the car, women begin to ululate and dance. As she steps out of the vehicle, the men join in with rapturous applause. Ms. Adongo is the host of Lobo pa Lupur, or A farmer’s world. The 36-year-old presents the show on Gulu’s Mega FM in the local language, Luo, every weekday from 2:20 to 3 p.m. The program tackles a regular topic every weekday. Mondays are devoted to livestock, poultry and fish farming. On Tuesdays, Thursdays and Fridays, the program is dedicated to crop production. The eldest of eight children, she learned from a young age how to use a hoe and tend the family’s cotton. As she got older, cotton prices dropped and her family switched to crops such as groundnuts, sunflower, sesame and cassava. Mrs. Adongo’s father began to produce and sell vegetables to supplement the family income. The family farm financed her school fees. Ms. Adongo was the first member of her family to finish secondary school and, ultimately, graduate from university. 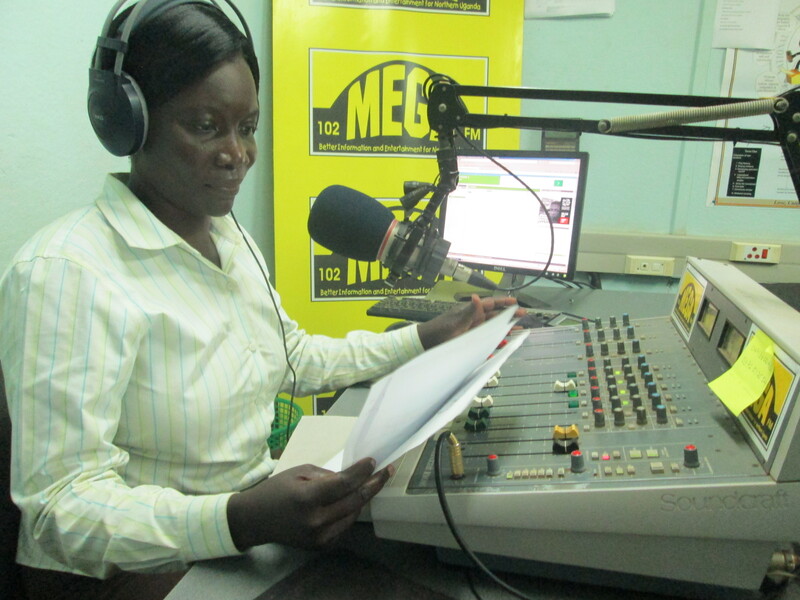 Ms. Adongo has been working at Mega FM since 2004. She has become one of the most popular radio hosts in northern Uganda. When she enters the studio and sits down in front of the microphone, farmers around Gulu district tune in their radios, eager to hear her voice.